Our third annual kickoff cocktail reception was a rousing success! We are tremendously grateful to all the family, friends, supporters and benefactors who came together to make this event a truly remarkable evening. Thank you all from the bottom of our hearts. Without you, we could not do what we do to better the world. Help support the foundation through a generous donation! 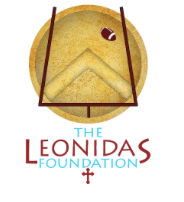 The Leonidas Foundation is dedicated to promoting emerging young men with a desire for service, knowledge and fellowship.